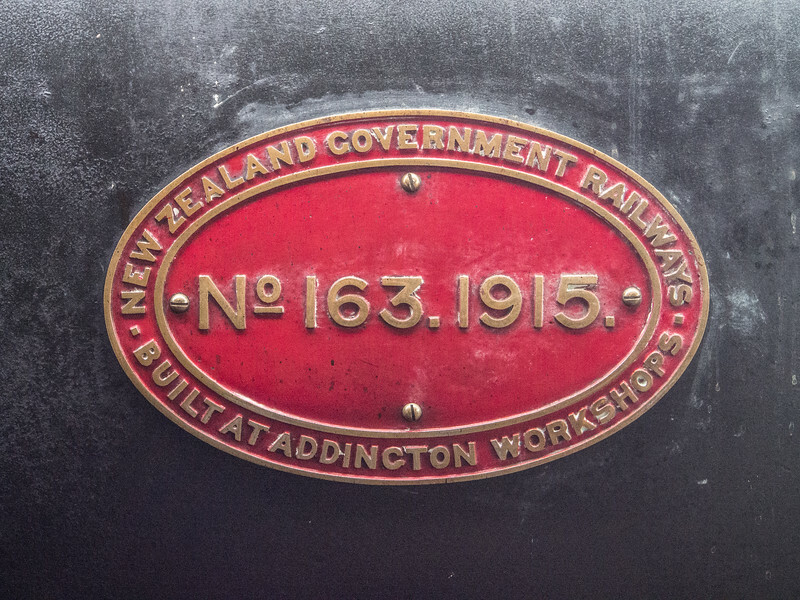 This builder's plate is mounted on lovely Ab Class 4-6-2 #608. It indicates her builder's number of 163 and the year of manufacture - 1915. The Addington New Zealand Workshops did their work well. This shot was taken in 2017, when the 608 was 102 years old and still going strong.